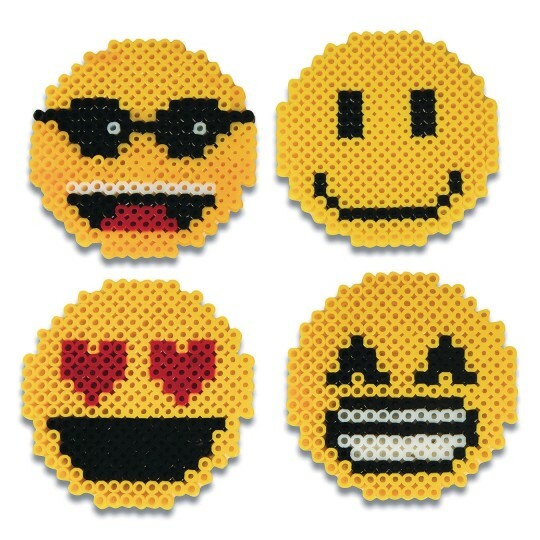 The hottest trending icons meet classic fuse bead crafting fun! 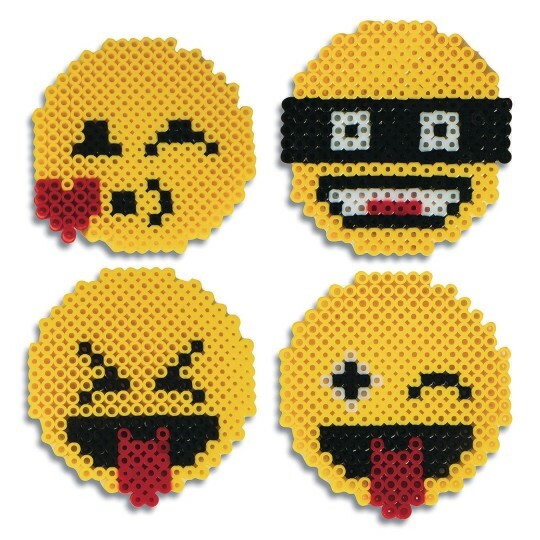 Everything your group needs to easily create fuse bead emoji’s. Easy Pack includes: Yellow (6000 pieces), Black (2000 pieces), Red (1000 pieces) and White (1000 pieces) fuse beads - 10,000 total beads! 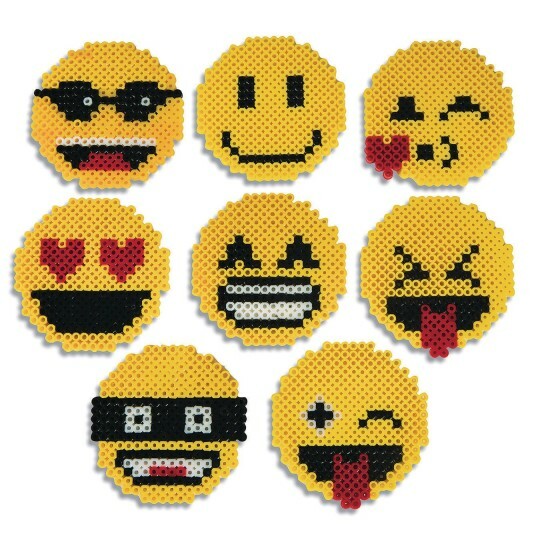 Eight clear 5-1/2” pegboards, 16 easy to follow two-sided, laminated emoji bead pattern sheets (with 8 unique emoji designs to choose from) and 4 sheets of ironing paper. Finished projects measure approx. 3-1/2” in diameter. 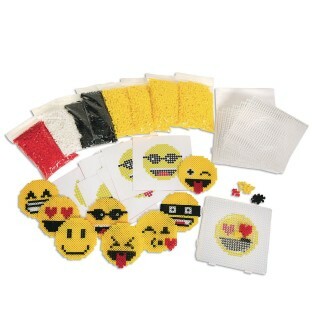 Makes 36+ finished projects.